Hey! 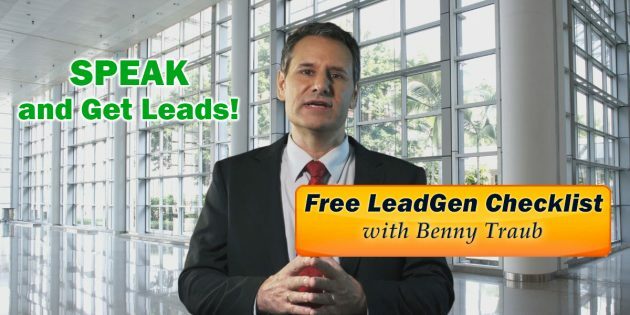 …need to generate more leads? Learn to harness the power of public speaking! Public speaking is an amazing lead generation tactic, yet very few public speakers utilize its full potential. I'll always remember the day I landed my first $100,000.00 client from speaking. If you already do some public speaking, you are going to love this strategy! It will make you a fortune. And if you are not already speaking, what you read below might convince you to develop a talk and become a speaker. Besides the fact that someone might eventually pay you for your time, you can build tremendous authority as a speaker. This authority enables you to sell more efficiently, with extraordinary closing ratios. But only if you do it right. The first step to leverage your speaking engagements is to use your platform to collect the contact information of your audience. With contact info, you can pull them into, and through your funnel using marketing automation. On the other hand, if you don't get their contact info, for the majority of your audience, the funnel will end in the auditorium. Not good! If people had to register to get a seat, you might be able to negotiate with the organizer for the release of their contact info. But many organizers are sensitive about privacy, so this is not always possible. Below I describe a system for using marketing automation to pull a higher proportion of your audiences into a meaningful, financial relationship. Present a piece of valuable lead bait to your audience. A booklet, report, dvd, etc. Offer to give it to everyone free. Instant digital access available online. Lead the audience through the optin process. 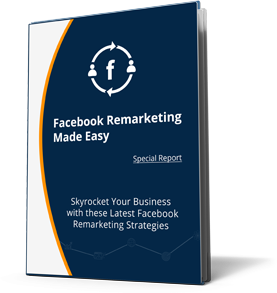 Expect 20% to 60% response rates using the method below. Send automated email to everyone who registers for the lead bait. Promote a one-time-offer (OTO). In the examples below, I suggest a small purchase, but you could just as easily ask for appointments or even just price requests. At the end of a successful OTO sequence, tack on an upsell to your OTO. Use the psychological momentum of the initial transaction to ask for more! As you can see, this strategy uses an escalating workflow. It is easier to get people to take small steps rather than big steps and therefore your numbers will always be higher doing it the way it I describe in this tutorial. e.g. Don't immediately go for the jugular. Instead, construct a sequence, beginning with the collection of contact info. Do this by offering to give something for free which requires an easy registration (see below for my one-click optin method). Then ask them for something small, and only then ask them for something bigger. If you do this sequentially, the process creates rapid escalation in the relationship and you'll have a lot more authority (and trust) with those who go through this initial sequence. You'll be perfectly positioned for the big money. During your presentation, bring out a piece of lead bait and talk it up. A booklet, report, dvd, etc. When I say "talk it up", I really mean it. Be aggressive in selling the benefits. Get your audience on the edge of their seats. Waive the item around. Show an image of it on the screen and tell them you are going to give it to one lucky person in the audience. Share a short story how this item changed someone's life or business. Once you have built up the anticipation, ask people who want it to raise their hands. If you have done your pre-sell job well, you should see a third of the hands go up. Now pick someone from the audience to come up and collect their prize. Everyone else will be slightly let down, but only for a moment. Say something like: "This item is so important and valuable, I'd like to give one to everyone in the room. Would you like that? Great, pull out your phone and turn it on. You can leave the ringer off, but go ahead and open your web browser. I'm going to give you the secret location so you can go in and grab a free copy right now". 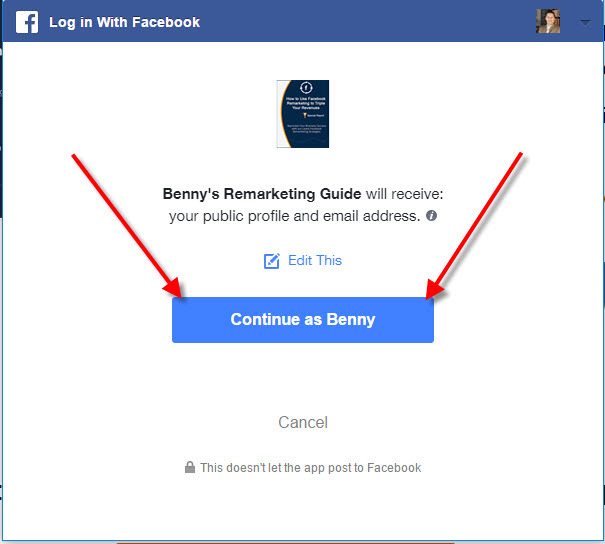 "It is easiest if are logged into Facebook, then you can get access simply by clicking the button on this page". "When you click the button, you'll see a screen like this..."
Now add an image of the confirmation window to the screen (shown below). "Just click that big blue button in the center and the free gift will be sent over to you immediately". NOTE: The images shown here are screen shots from a desktop computer, since that is what most students of this course use, and are for illustration purposes only. The images on a phone will look different. For best results, you should use images of the pages your audience will actually see on their phone. The moment the audience registers for your bait, you will have their name and email address. You can now use automation to send out a series of email designed to close a small transaction. Your first financial transaction is a major milestone, no matter how small. If you can get them to buy something, anything at all, the psychology changes. The glue in the relationship is far more resilient and enduring. Subsequent, larger transactions will be far easier to obtain. Buy an orphan a pair of shoes for $7.00. If you do this in the next 72 hours, we can send you our training series on financial stewardship for FREE... a $75.00 value. See what we are doing? The goal is to make an offer they will find hard to resist. It doesn't matter if we make money on this initial transaction. We are getting a relationship that will last for years! And the effectiveness of this type of offer is not limited to donations. Just use your creativity to sculpt something that is appropriate for your industry and market. People love a good deal, so no matter what industry you are in, you should be able to come up with a relevant one-time offer that whets their appetite and motivates them to act. Why do we call this a one-time offer? An OTO is offered once and only once. We may have similar offers that we reveal later. But when this particular timer reaches 00:00, this deal must go away. This is how you create genuine scarcity and pump up your numbers. This works! "Later today I'll send you an email regarding something I'm very excited about ..."
Describe your OTO to the audience. If you do a decent job of pre-selling it, you could get a surprising number of takers... meaning you'll have instantly turned a cold audience into a source of cash and real relationships, and you'll have done it all from the stage, without lifting a finger. Your OTO can/should take place online, using Paypal or a merchant account to collect the money. This will allow you to scale. At the end of the checkout sequence for your OTO, you are going to redirect users to another webpage, with another paid offer (or something that requires more commitment). Click the Button Below to Send Free Food to an Orphan for 30 Days. Page text: We have a sponsor who has agreed to send a month's worth of food to one of our orphans if you'll agree to come on as a partner... Here's the amazing part: This won't cost you a dime today. Just click the button below to indicate that you are willing to sponsor an orphan on a monthly basis, for just $30 per month. Your credit card will not be charged for 30 days. And you can cancel tomorrow if you want, or anytime thereafter. Of course we'd like you to continue! No matter what, you'll have triggered a generous donation from our corporate sponsor and we'll be able to feed an orphan for another month. Once again, you must do your best to make the offer irresistible. Take some time now and think about this. Write down your thoughts on a piece of paper. You might need to get creative. If you get stuck, bring a couple people into your brainstorming session. Don't stop until you have the framework of your sequence mapped out. Anything can be sold, and anything can be sold better. Hey, this is a marketing lesson! Let's get creative! It requires only a tap on the part of the prospect. No typing! You get their primary email address rather than a crappy Hotmail account. You'll enjoy far better open rates on your email, and thus, far better results! Get the one-click system here. To fully leverage this system, you'll need a marketing automation platform capable of sending a pre-programmed series of email. If you don't already have one, get yourself a free trial at ActiveCampaign. Download this checklist and use it as a training tool and a handy guide. Save the file to your local drive before editing. Now go book some speaking engagements, and start filling your funnel! Benny's team is available to help. Need advice? click the button below.